Life. Love. Nailpolish. : OPI You Callin' Me A Lyre? 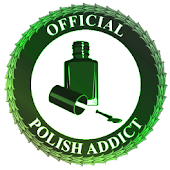 A Nail Polish Convert, still discovering the joys and nuances of polish. Ugh...OPI is so obnoxious with it's use of punctuation in it's polish names. That's beside the point, though. 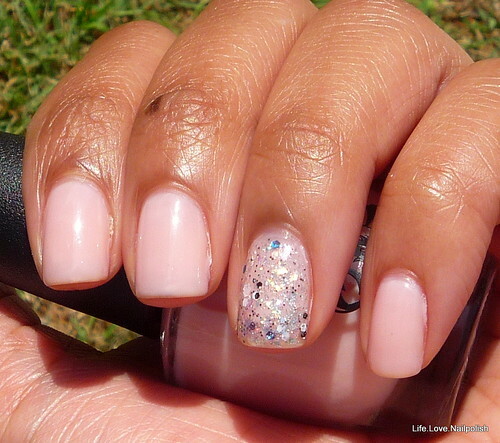 Today's polish is a gorgeous, delicate pink from the recently released Ballet collection. From swatches I saw online, I thought it was a lot paler but it is pleasantly pink in person in all lighting. This is my first set of photos with short nails :(. But, I am getting used to them. I think they're kinda cute now. What do you guys think? Anywho, onto the pictures. They are all 3 coats of You Callin' Me A Lyre?. The accent nail is 3 coats of the OPI, 1 coat of Pretty & Polished Valentino, 1 coat China Glaze Luxe and Lush, and 1 coat of NYC Starry Silver Glitter. 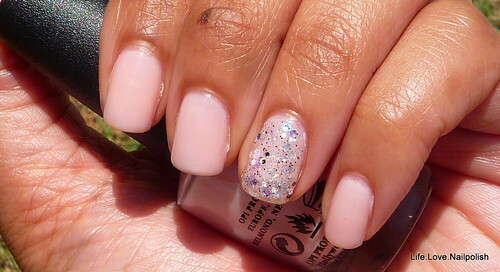 I love how delicate the glitter looks. Click the pics to see better detail. I feel like these pics are kinda grainy today, so sorry for that but I was in a rush to take pics. I am using flickr for pictures now, so hopefully the quality is significantly better since Blogger won't be able to distort them to it's liking. Thanks! I got the whole collection because sometimes I get in a sheer mood...plus I really want to make jelly sandwiches in the future. I almost made the accent nail a jelly sandwich, but it was so pretty that I stopped there. Thanks! I know longer nails will have a little more obvious VNL, but this was a lot less sheer than I was expecting! And this polish had more color than I thought from swatches I had seen! Please do not link to your blog in the comments. You can email me [life.nailpolish [at] yahoo.com] if you want me to read your blog or just to contact me in general. Comments with links will not be published. I promise that I read and appreciate each and every comment.